For Duck fans, the College Football Playoff National Championship game was painful to watch. 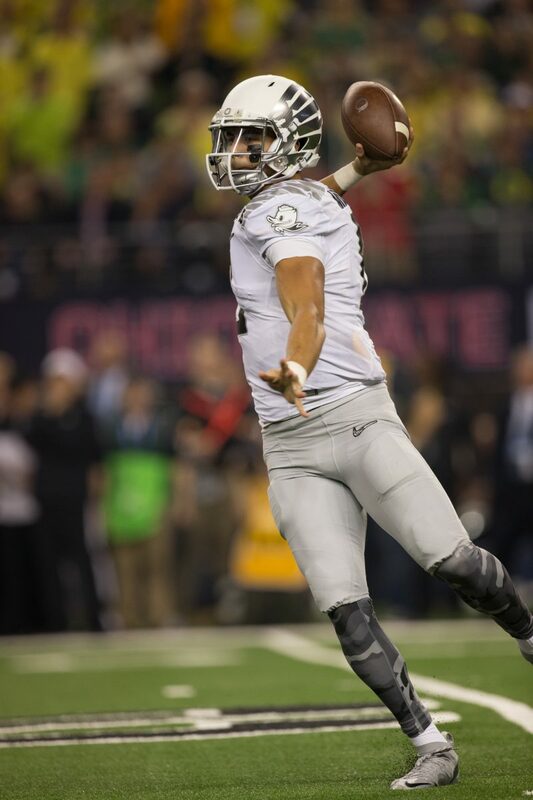 For Oregon’s Heisman winning quarterback and projected top NFL Draft pick Marcus Mariota, the pain was real. 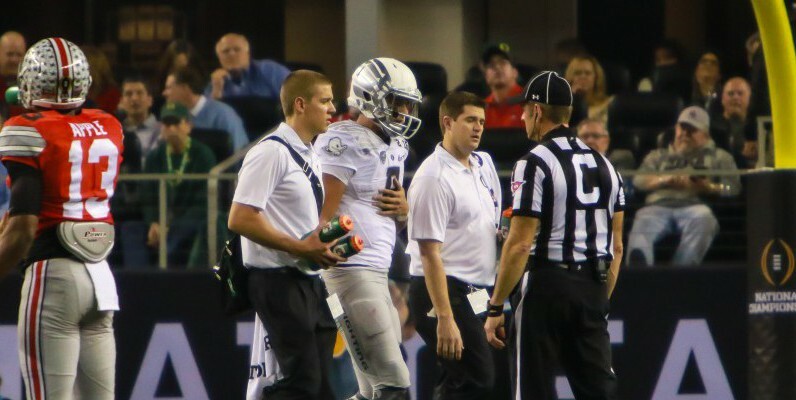 Mariota suffered a sprained shoulder after being driven into the ground unnecessarily by Ohio State defensive end Joey Bosa. The injury may keep Mariota from participating in the NFL combine, according to the Star Advertiser. Mariota chose not to play in the Senior Bowl so he could return to Hawaii for the Polynesian Football Hall of Fame induction ceremony where he was honored as the first Polynesian College Football Player of the Year. Mariota may miss the NFL Combine to heal his sprained shoulder. The NFL Combine is Feb. 17-23 and Mariota has seen draft projections as high as No.1 overall in the upcoming 2015 NFL Draft. “Right now we’re still making that decision, whether to throw at the Combine. I had to kinda rest about a week-and-a-half,” Mariota. Mariota briefly left the game after being aggressively tackled to the ground by Bosa in the national championship game. It was unknown to many until recently that Mariota had suffered an injury due to the excessive nature of Bosa’s tackle.